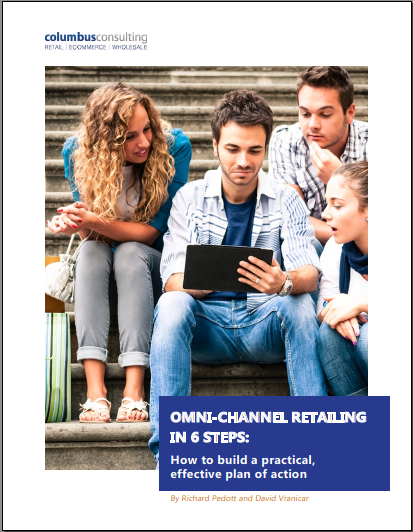 This 15-page document brings the popular topic of omni-channel retailing down to a practical level. It describes how retailers can follow a six-step process of planning and analysis to achieve real omni-channel operations. The client suggested the topic. Redwell conducted research, worked with the client's subject-matter experts, and co-wrote the piece. Redwell also selected a designer and saw the document through final production. Then Redwell suggested strategies for distribution, reuse, and repurposing. Provides forms and questions teams can use to analyze their current situation and to plan their way forward. Suggests ways for retailers to restructure their organization and rethink employee compensation to ensure successful transition. "[This] white paper has become my calling card and has played a role in opening three new accounts. "It’s helped generate nearly $2.0 million of revenue, with an additional $2.0 million of potential." "From Dave's experience in both sales and marketing, he brings a practical perspective to content, and he thinks through the use case of the material at a tangible and executable level."